Open any recent D&AD annual and chances are you will see work by David Pearson and Teresa Monachino, so we are delighted that they will join us for an evening that celebrates book design in all its forms. David Pearson began his professional career in 2002 at Penguin Books as typographer and later, cover designer, where he helped reinvigorate the brand, before leaving to set up his own studio in August 2007. He formed White’s Books with editor Jonathan Jackson in 2008, repackaging classic texts by Shakespeare and Dickens as well as titles such as Jane Eyre and Treasure Island. He has won numerous awards for book design and has been listed as one of Britain’s top designers by the Guardian as well as being nominated for the Design Museum’s Designer of the Year Award. He is also an avid collector of printed ephemera and maintains a Flickr site dedicated to print and typography. Teresa Monachino is a graphic designer whose work touches many design disciplines from exhibition and branding to books and packaging. She graduated from Chelsea School of Art in 1990 and now runs her own independent studio. She is the author and designer of ​‘Words Fail Me’, published by Phaidon, which looks at the quirky characteristics of the English language.Teresa has won many design awards, her work has featured in the national and international design press, she is a visiting lecturer, a TED speaker and has collaborated with Sir Eduardo Paolozzi, Alan Fletcher and Sir Sean Connery. Her award-winning typographic publications have been supported by the Design Museum and Tate Galleries in London. David Pearson // Cover to Cover from West of England Design Forum on Vimeo. 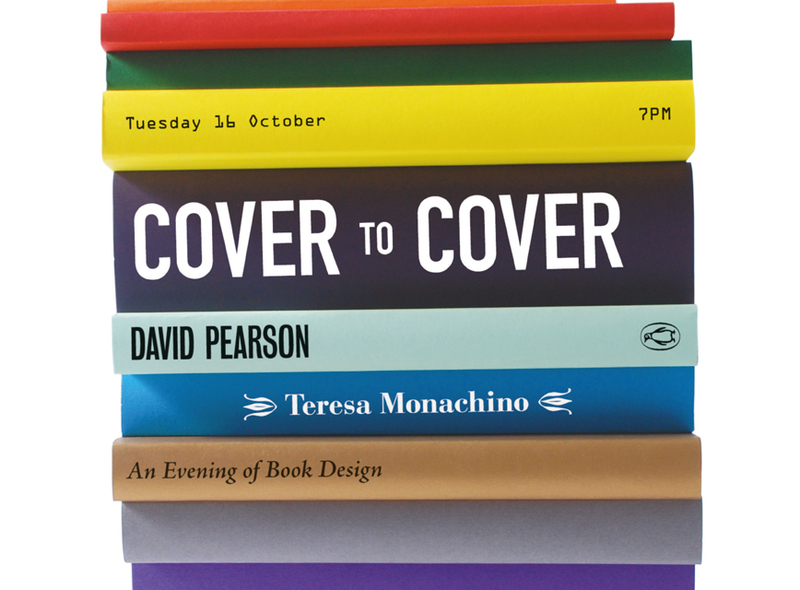 Teresa Monachino // Cover to Cover from West of England Design Forum on Vimeo.